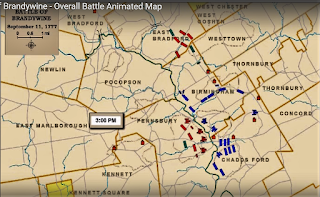 On September 11, 1777, American troops clashed with the British in the Battle of Brandywine in Pennsylvania, resulting in an American defeat that allowed the British to easily capture Philadelphia later that month. 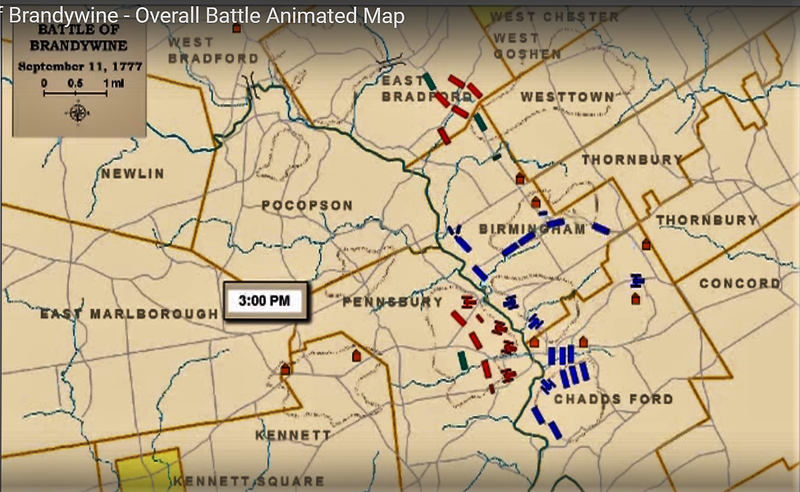 In early September, with British General William Howe’s troops advancing toward Philadelphia, George Washington deployed his army along the east side of Brandywine Creek, about 25 miles from Philadelphia, and took up a defensive position to meet the British. Washington was expecting the British to launch a frontal attack, and at first, that’s what appeared to be happening, as British troops congregated on the other side of the creek opposite Washington’s Center.